Monza's atrocious weather and its facilitation of Sebastian Vettel's sensational victory for one of Formula One's most popular teams ever - Scuderia Toro Rosso - formerly Minardi - totally overshadowed the most significant statement of the entire weekend, namely that, according to Ferrari engine technical director Gilles Simon the team was 'struggling' with its Kinetic Energy Recovery System (KERS). "We are learning every day, but we are struggling and I think that all teams will struggle to run the new system reliably right from the opening race of the 2009 season," the Frenchman admitted on Thursday. Bang on cue the conspiracy theorists trotted out suggestions that the sport's governing body, the FIA, would delay the introduction of this complex "push-to-pass" button, with green overtones, in order to appease the Italian squad. The suggestions, of course, overlook the fact that the 2009 regulations are cast in stone, and, in any event, KERS is optional. Teams can either run KERS and gain whatever benefits their particular systems provide, or choose to ignore it on a race-by-race basis or even for the entire season - without regulatory penalty. Friday's FIA media conference - totally upstaged by the prevailing weather - saw various technical directors admit they faced serious challenges in readying KERS for introduction by the first 2009 race, which, remember, is just five grands prix away. Still, the engineers were reluctant to speak about specifics for fear of giving away whatever competitive advantages they believe they may hold, and at the moment it is a brave technical director who is prepared to admit his entries will definitely be so equipped come the first 2009 race. Even Williams, which is unique in going for a mechanical/electric solution - a sort of hybrid-hybrid - after buying into such a company, is coy about the subject. However, as many as eight of the ten teams are thought to have settled on full electric solutions, Toyota being one of them. Fortunately later on, Luca Marmorini, General Manager: Engine for the team, was prepared to speak on the record about the technology, and his candid answers to some of the questions indicate that concerns, particularly with regard to safety, remain despite Toyota's 12-year commitment to hybrid technology. The Italian, who heads the KERS project within the team owned by the world's largest producer of hybrid cars (1m per annum, and counting) was also unusually frank about his company's approach to solving the challenges of packaging. According to the ex-Ferrari engine man, KERS is a rather low-tech solution, one somewhat downstream of the sophisticated Hybrid Synergy drive systems offered in Toyota Prius as well as certain Lexus models. "You have to remember that at the moment we have a boost, overtaking device, rather than a hybrid system,' he says. "This overtaking device has to be small, light. And for Toyota they have to develop systems which save fuel, whilst the dimensions of the system are secondary. So you understand that (developing KERS and hybrid drive) are parallel activities." 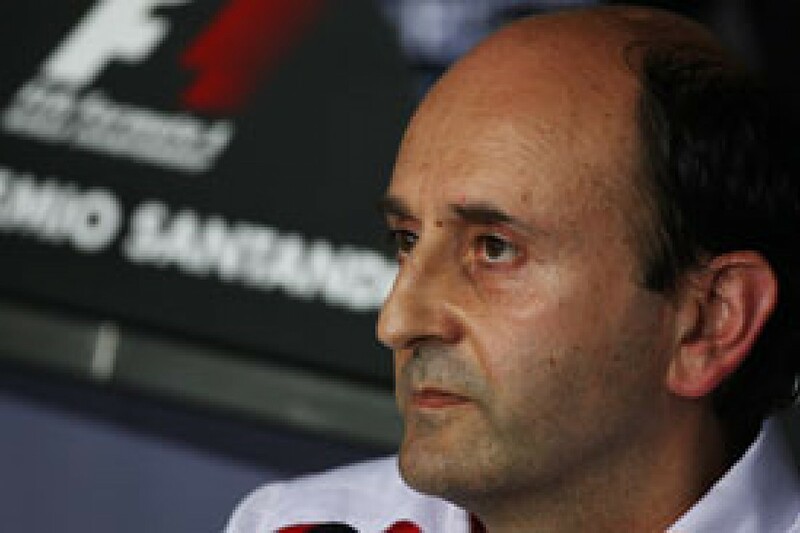 Although car design and packaging falls under his chassis equivalent Pascal Vasselon - who last week spoke exclusively to this column on the 2009 aero regulations and the return of slicks - it is up to Marmorini and his engine team to ensure that whatever KERS system they ultimately specify can be accommodated in the car. "The challenging thing is that we are still developing components, so we are booking room in the car for parts that we are still developing, that we are not 100% sure of, it is quite difficult because from our side we would like to be quite conservative," he says, adding that negotiations between the two departments is part of the car design process. "In the end Pascal and his group have to give input to us in order to influence car performance as little as possible, and we have to provide the easiest package to install in the car. It is nothing different to what we have been doing normally; in our case at Toyota it is relatively simple because we are working under the same roof." Another difficulty, according to Marmorini, comes with packaging the three 'intrusive' components which constitute KERS - motor/generator, electronic control unit and energy storage device - all of which should ideally be mounted in close proximity to each other - which would, though, play havoc with weight distribution. "If you use an electro-mechanical based device, you may have the electric motor in the gearbox, the batteries on the sidepod and the ECU on top of the chassis, but that would have long cables with high amperes and voltage. To me a good design would keep all these things close together," Marmorini explains. "But this doesn't mix very easily because then it means you would have a bulk of materials that you have all on the gearbox or close to the engine, but our principle is probably like everyone else [which is] too keep all these components as close as possible." This task is further complicated by two factors: first, a lot of components still need to be developed, and, two, the technology is evolving so fast that what is deemed a good solution today could be totally out-dated tomorrow. "It is not that we still need to design them [the parts], but it takes a lot of time to produce parts and we have put in place a lot of development steps, so we do not have not a solution yet that can run in the car," he candidly admits. This, though, means that trial fitting cannot take place, which has knock-on effects when it comes to finalising chassis design, whilst the fact that a certain solution may be overtaken by another before the car even hits the track is another problem. "It is such a quickly developing technology," says the doctor of mechanical engineering. "For example, if today we think a battery is a better solution to a capacitor, that may change in a few months, because there is so much development in this particular component that it may change completely. So we have to be prepared to switch from one solution to the other very quickly." Nor has Toyota's experience with hybrids, which stretches back to 1996 when the company formed a joint venture with Matsushita to form Panasonic Energy EV to develop batteries for hybrid use, been of much direct assistance. "We are also [note] working with our road car suppliers, but F1 is a little bit different to the mainstream Toyota hybrid technology in the sense that the technology Toyota is developing for road cars is much more sophisticated than what we are developing right now. "Of course we have the benefit of experience within Toyota, especially in terms of safety, [and] we can learn a lot. However, this does not mean the supplier will be the same. For example, we may choose Magneti Marelli because we have been working with them for a while in terms of controls and so on. Their product is a dedicated product only for F1." On costs, Luca is understandably coy, allowing only that: "We always thought it would be very expensive, and let me say [that] the big concern at Toyota was this was expensive technology. "There are two things you need to consider in the costs of this device: the pure development of some components, for example there was no battery in the market suitable for F1, so that is a development cost that you have to share with some supplier," he adds. "On top of this you have to run engines, modify engines, prepare a specific car for this and run it, so all these costs add up in the long term, meaning it will definitely be a huge investment." However, he did specify that this excluded the additional costs of dyno-running and preparation of special 'donkey' engines. "You could argue that we would do dyno runs in any event, but in real terms these are hours we are putting in only for KERS," he said. Obviously concerned about costs, Toyota is presently calculating estimated figures of the developed product with its suppliers, but, says Marmorini, estimates are based on prototype components. "So you have a prototype (which) may cost twice or even five times the cost of the final system, so we have problems at the moment making a system that we will put in a car that will be expensive but affordable," he says. "So we will not have a motor generator that will cost 200,000 Euro, forget it, but batteries will be very expensive." In this regard, Marmorini, who aims to test run KERS in a car early in the new year, hopes batteries will last more than one race, although as yet teams are stabbing in the dark. "We would like more [than one race]," he says, "but at the moment we have not done enough tests under real conditions to judge, so we don't know [yet]. In principle a single cell can do this, but we don't know..."
Flying these batteries around the world is another concern, particularly as a story did the rounds in Monza that teams would be required to return all batteries to base, even after fly-away events. No doubt it can, but at what cost to the sport? 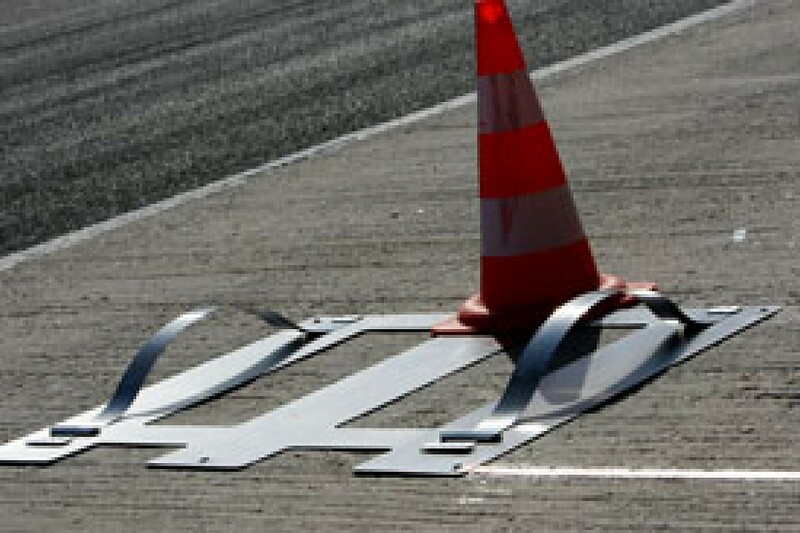 Without doubt F1 needs to be seen to be green, and quickly, and therefore postponing KERS is simply not an option. As BMW boss Mario Theissen said so succinctly in Spa: "I have never seen technology get cheaper by delaying its introduction..."
KERS is here to stay; so the only question remaining question is: "Who will be the first to race it?"